Northwest National Real Estate: Sold! 3 Bedroom & 2.5 Bath! Sold! 3 Bedroom & 2.5 Bath! Great well kept neighborhood home. This house is as neat as can be. 90% remodeled in 2010, it has a new master bedroom, master bath, walk-in closet and laundry. Home features 3 bedrooms, 2.5 baths, great sun room and large yard. Located close to hospital and Washoe Park in Anaconda, Montana. 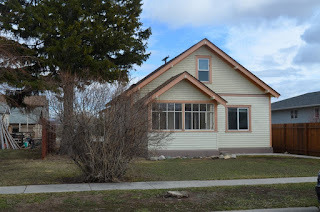 Contact Dauenhauer Real Estate at (406) 859-5563 Listed for $115,000.